Life throws plenty of opportunities our way. The question is “What will we do with them?” Two of our team members, Tim and Morgan, have recently had some exciting life changes that we wanted to update you about. We wish them the best as they continue to seek God’s direction in their lives. 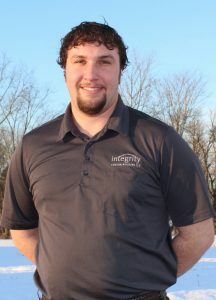 Tim Borkholder has been working as part of the field crew since June of 2015, when he decided to leave his family in Montana and come work for Integrity. Tim has played a huge part over the last few years as we have grown, helping with staying on top of field production. In his most recent role as the Production Manager, he handled the project schedules and worked with the subcontractors and vendors to make sure the projects ran smoothly, materials were ordered, and so forth. Mahlon Riehl is taking over Tim’s position as Production Manager, and Justin Beachy and Andre Burkholder are becoming our lead Field Carpenters. We certainly will all miss Tim and what he does for the team here at Integrity. However, moving to Montana is a great opportunity for Tim to reconnect with his two brothers, Dad, and Uncle in the family businesses they have going in Hamilton, MT. We’re excited to see what God has next for him! Morgan Showalter has been working in the Integrity Office also since 2015, first in accounts receivable/payable and more recently in marketing. We have loved having her here and will definitely miss her very much, but we’re excited for this new adventure in her life. Morgan will be leaving at the end of June and heading to Colorado to staff at Summit Ministries for the rest of the summer. In the fall she will be doing a schooling semester program also through Summit Ministries in Colorado. Summit is a Christian worldview conference for students ages 16-25 that equips both students and adults to think and live with a Christian worldview in our current culture. Morgan went as a student in 2015 and also staffed for a couple months last summer. Summit has made a huge impact on her life, and she is so excited about going back. We will miss her, but we can’t wait to see what God will do through her in this next stage of her life! Welcome to the Team: Kaitlyn Brush! 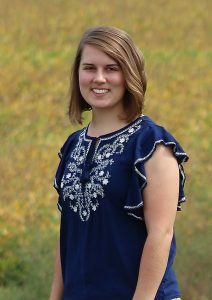 Kaitlyn just recently joined the Integrity Team in June. She works part time in the office in accounts receivable/payable and also in marketing. She is a friend of Morgan and is taking over all of Morgan’s office duties. We are certainly grateful for her eagerness to learn the office responsibilities. 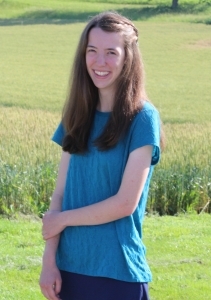 Some things Kaitlyn enjoys include reading, music, traveling, spending time with her family, and outdoor activities such as hiking, canoeing, and camping.